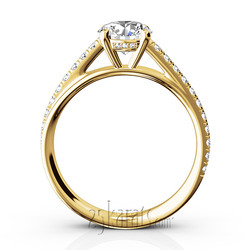 The inspirational duo-shank design expresses the unity of two souls. 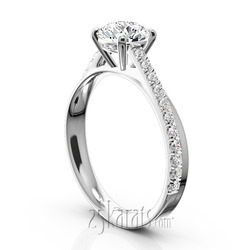 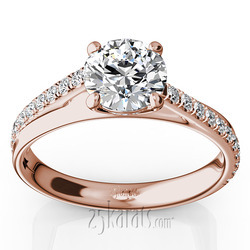 This beautiful engagement ring is set with dazzling 1/3 ct. t.w. 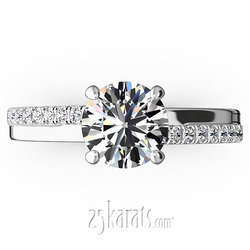 diamonds to showcase your choice of center diamond. Available in 14k, 18k gold, platinum and palladium.